Alright my rapidly aging (to quote Bob Dylan) compatriots! Who remembers girding their loins before heading down to Elston Avenue for their first driver’s test or any other DMV related issue? For the uninitiated, if you dare utter the words, “Elston Avenue,” to any Chicagoan of any tenure, they will turn white as sheet and immediately scurry away. It was at Elston Avenue that I first learned the true meaning of the word “patronage.” It was at Elston Avenue where I discovered just how slow a human being could move. It was at Elston Avenue where I first realized that “surly” could be an art form. It was at Elston Avenue where I learned that someone could actually take offense at the word “hello!” It was at Elston Avenue where first I discovered that, when it comes to an abject lack of emotion, Mr. Spock had nuthin’ on those folks. Elston Avenue was the epicenter of the Daley-Howlett Democratic machine. It was were all the bodies were buried. 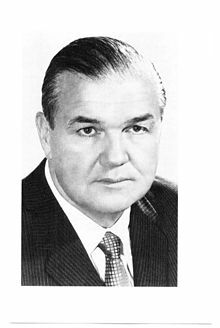 Of course, the Daley of whom I speak is the late Chicago Mayor Richard J. Daley, and Michael Howlett was the first Democrat to win four consecutive statewide elections, culminating in a 1973 Secretary of State of state win. But then something strange happened. In 1999, Jesse White became Secretary of State and the culture completely changed. He got rid of all the deadwood and somehow managed to light a fire under the most jaded of political hires. The end result was, when my wallet got stolen back in 2004, I was in and out of the Indian Trail, Aurora DMW in a scant 8 minutes. It’s the closest thing to a miracle I will ever witness in my lifetime. In fact, this Secretary of State has been so good, I’d almost forgotten about Elston Avenue – until today, that its. Figuring the road test would a bit more similar to his Geneva driving environs than Aurora – I made the mistake of taking my youngest son out to DeKalb for his driver’s test. And the second we stepped into that building, just like what you’d expect from a Dickensian novel, the ghostly image of Michael Howlett appeared right before my very eyes. It started with their laminated numbering system which appears to have been coopted from some long defunct library. What the waiting area denizens didn’t realize is, quite a few of the “numbers” were missing, so the distance from 11 to 29 was a lot more like 11 to 20. It’s kinda like a bizarre governmental form of the Theory of Relativity. But daunted by the prospect of having to endure 15 to 38, some folks simply put their number down, hung their heads, and walked out. Just when you thought it couldn’t get any worse, it did! Perhaps due to a lack of staffing, any time a CDL (bus or truck) driver came in, they got priority and every last one of ‘em had some bizarre problem which set the line back even more. Meanwhile, having picked a set of seats in the back, my son and I were privy to all sorts of interesting conversations on the part of the facility manager. And let me tell ya, he isn’t gonna win a Mr. Congeniality ribbon anytime soon. When we finally made it to the counter, which was not unlike binge delivered from Dante’s 7th circle, both before and after the road test, the staff would simply walk away in the middle of the transaction with no explanation, only to return a few minutes later for no discernable reason. But rather than make any attempt to change this DMV, which certainly ain’t the Illinois way, I have a thought! Instead, every single NIU Political Science professor should immediately schedule a field trip to this facility. Who needs a bleepin’ textbook when you can see patronage in person, learn how to do virtually nothing to get a reasonable pension, and bear witness to a governmental entitlement mentality firsthand. All I can say is, my son got a lot more than just a driver’s license today. ← This is the September 3, 2016 Edition of Left, Right and You! Similar story with my daughter, that full ride academic scholarship to USC for Engineering one. Saw driving as a distraction til she got all that academic stuff out of the way. As an 18 year old with no prior drivers ed, this Spring she took the required online course, got a permit and drove with me all Summer. Smooth as silk. Two weeks before she was to drive to LA with her mother, we went to Elgin DMV right around the corner from where we live. They basically forgot about her for three hours after the facility manager shooshed all the non DMV business related people outside and then left for who knows what at 10am. Decided to hit small town Plano the next day. All good til that adult drivers course mistake of entering the wrong birth date reared it’s ugly head. Statute concerning the course says something to the effect ‘SOS must determine the service can accurately prove test taker’s identity’. Elgin failed to correct it at permit time despite multiple requests to them and Top Driver. Carrier pigeoned… oh I mean faxed, the request to correct it to Springfield. Two more hours. Finally, the drivers test at Plano. A 20 something female, who totally hated her dead end job, asking the daughter to, no lie, do something illegal. Daughter questioned it, again told to do it, bailed part way through the requested illegal maneuver, did a legal move with the same result. Fail. Next morning, back to Elgin. Caught them on a good day. No problems what so ever. In and out with the new license in about an hour. Letter to Springfield addressed to Mr. White asking for clarification and comments on the process, crickets chirping. Yikes! Suddenly I don’t feel so bad. Problem is, the Secretary of State sits in his Springfield or Chicago office and never sees what his people do (or DON’T do.) In fact, Jesse White has been Secretary of State too long. Later it was revealed he sent out his visitation schedule in advance to all those offices he planned to visit. This guaranteed they knew when he was coming and could put on a happy face. He should have dressed in an old shirt, not shaved for a few days, and “dropped in” unannounced and unidentified, to take a number like everyone else, sit down, and witness what REALLY goes on. Observer, But my contention is Mr. White has changed the DMV culture which makes the DeKalb experience that remarkable. “changed the DMV culture” all that much.